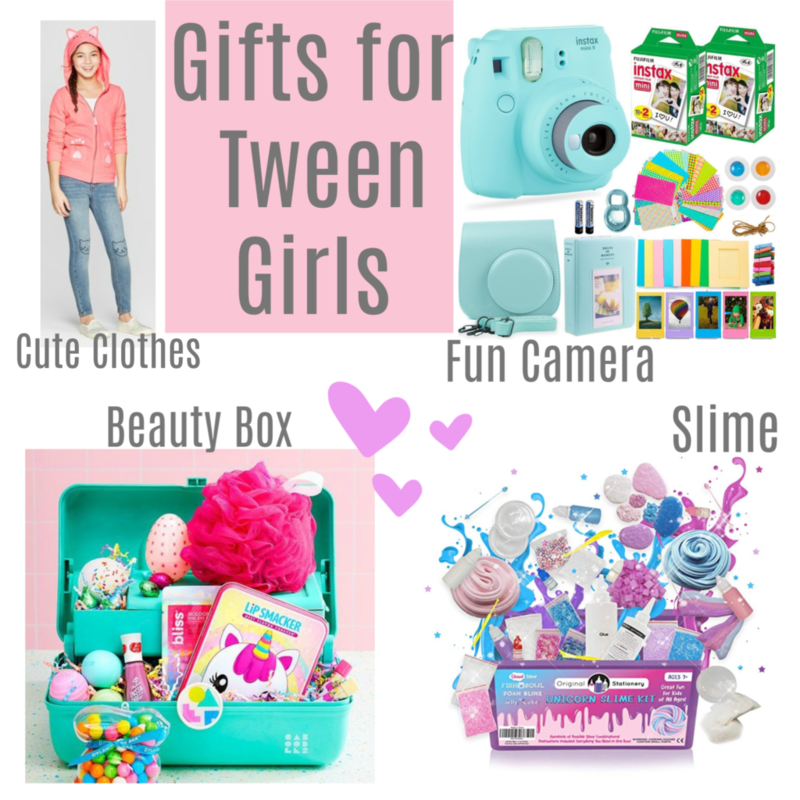 If you’re looking for the perfect tween girls gift ideas these cute, fun, and stylish gifts are perfect for girls 8-12 years old. 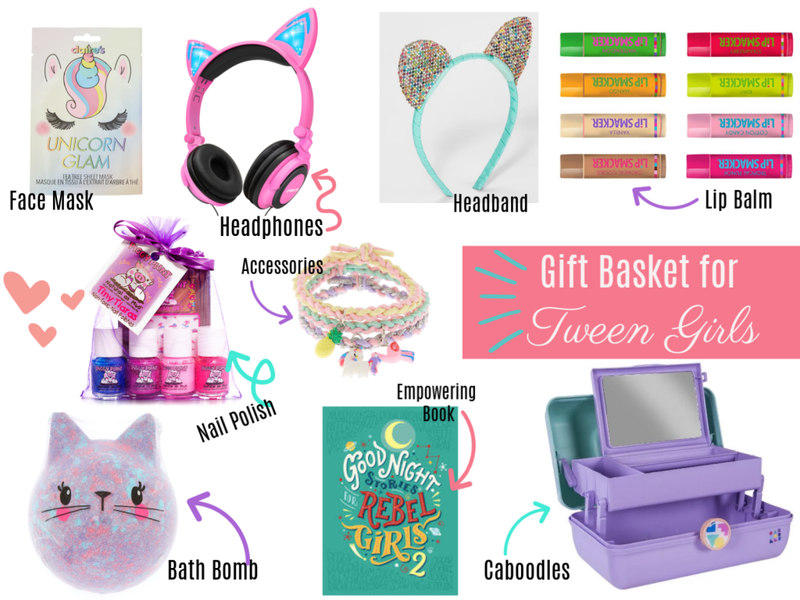 Unicorn Slime, Cat Ears, Stylish Accessories and much more make for fun tween girl gift ideas. We have officially reached the tween stage in our home and with it our daughter has decided that she no longer likes any toys, except for a few items like Legos. She recently came to me and asked to remove all of her toys from her room because she no longer wanted them. She gave her Barbies and Barbie house to her sister, put all her Shopkins in her sisters play kitchen, and only kept a few items. Then a few weeks later she came down with a trash bag full of items she had said she was going to keep and declared that she no longer wanted any of them. Goodbye American Girl Dolls and all their accessories, it was a short lived run. With her birthday just a few weeks away I had no idea what to get her since all toys were off the table. That’s when I realized we needed to get back into the habit of giving experiences instead of toys for gifts. I texted my mom and suggested skate lessons, which she agreed to. She’s taking them at a local skate rink, Skate City, and I signed her brother up as well. I figured it would be great for them to do it together. They started their lessons this weekend and so far are having a blast doing them. 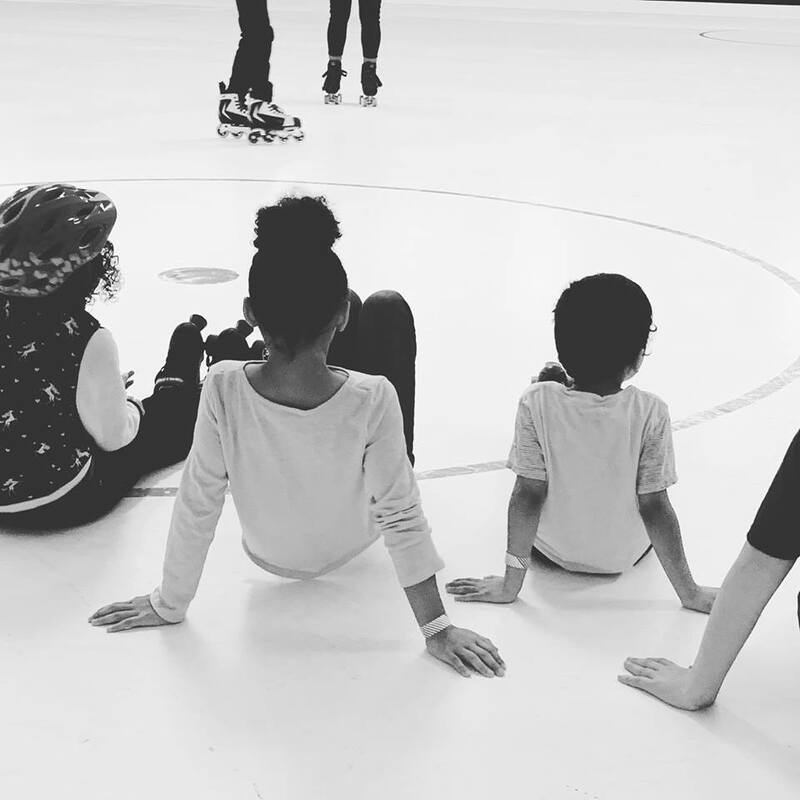 A great bonus is that they get to skate for 2 hours after their lesson, so it looks like our Saturday mornings for the next several weeks will be spent at Skate City. We booked a night at Great Wolf Lodge in Colorado Springs since she’s been asking to go. She’s dying to ride their biggest water slide and was too short on our previous visits, but I think she is finally tall enough for it and I can’t wait to ride it with her. 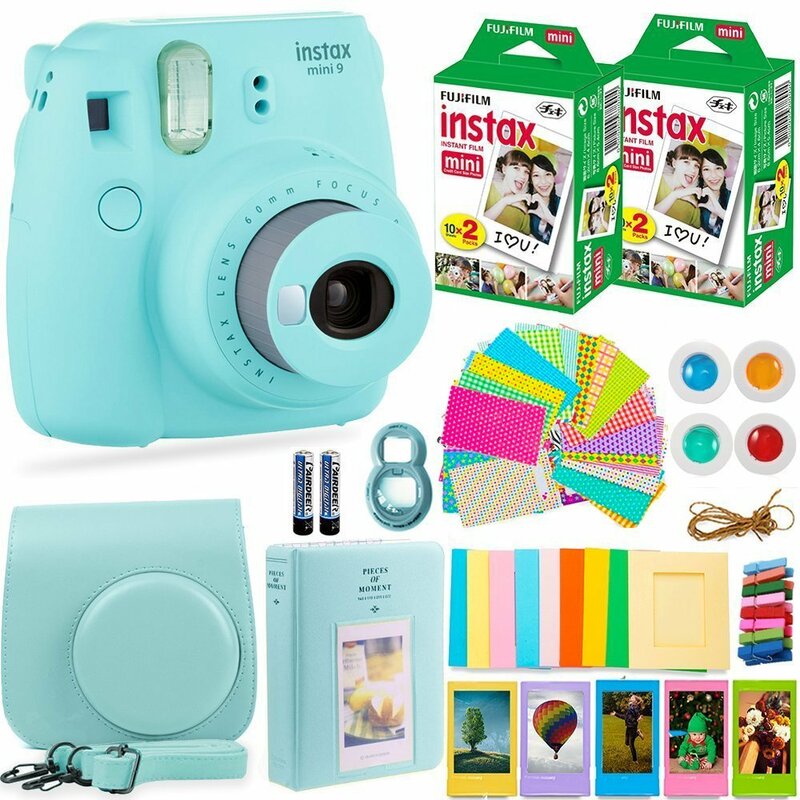 I also got her a Fujifilm Instax Mini 9 Instant Camera. I feel she is responsible enough for one and it will be great for her to get her own pictures of our outings, her family, and her friends. We just added a pinboard to her room and she’s been looking for pictures to put on it. You could make a gift basket with a pinboard (I got our at Hobby Lobby), an Instax Mini 9 bundle, and pushpins. My dad sent over a slime kit. She’s really into making slime and the kit he sent it really awesome. I’m a little jealous of it and wish they had such cool things when I was a kid. The Unicorn Slime kit comes with everything you’ll need to make slime and allows you to make a variety of different types of slime. Cloud Slime, Glitter Slime, and so much more. It comes with yummy smelling scents, colors, glitters, little foam balls, and much more. I know she’ll love it. There is 2 things our daughter LOVES. Slime and Cats. I was browsing around Target.com recently and this Cat Hoodie came up, which she saw, and she instantly wanted it. I always get her a new outfit for her birthday and this outfit seemed perfect. Cat ears are a huge trend right now with tweens and this is perfect for the chilly days we’re still having. This gift idea is great for Easter or anytime of the year. Just replace the Easter items with non Easter items. 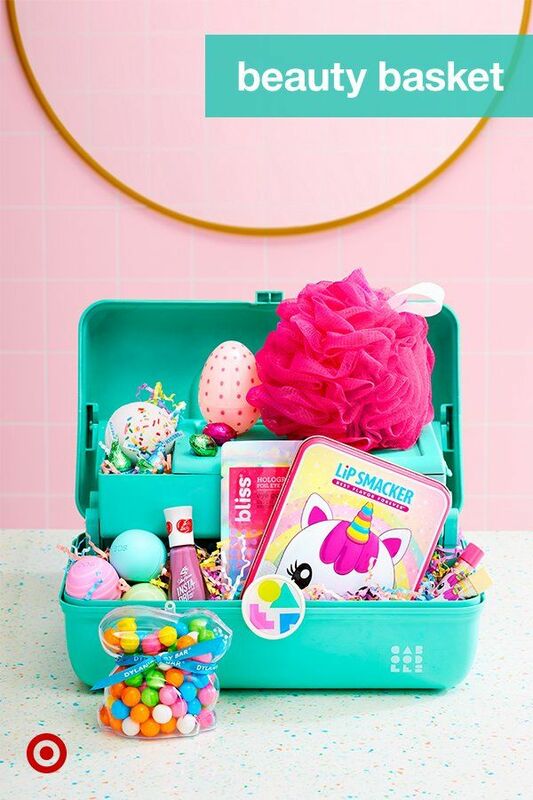 Get a caboodles and add in some fun face masks, bath bombs, flavored lip balm, nail polish, and hair accessories. I am doing this for her Easter Basket this year. I picked up the Caboodles, lip balm, headband, and candy from Target. Then I went to Clarie’s and got some of their face masks and bath bombs to put in it. (Sign up for Clarie’s emails, they often have sales going on. I got everything for 50% off with free shipping to my local store). I remember being a tween. Cute accessories, stylish outfits, lip gloss, music, and taking pictures with my friends were a big deal. I’m starting to see the same likes in our daughter. If you’re in doubt about what to get the tween girl in your life, a gift card always makes for a nice gift. Target and Claire’s are very popular in our home right now and a gift card allows her to pick out the items she’ll like most. **This post contains affiliate links. I earn a small commission via some links that help to keep my blog running.